It's a very rainy day in the A(tl) today, so inside pics it had to be! 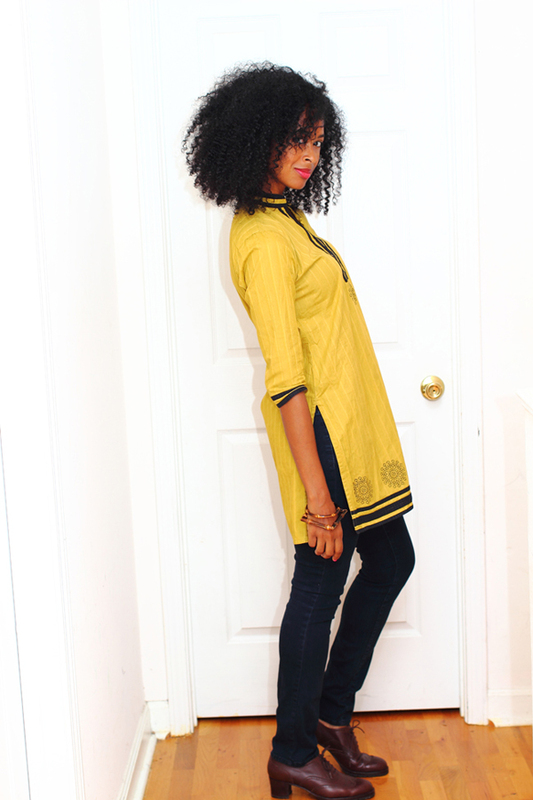 Today I threw on this Indian kurti (tunic) that I'd thrifted a while back. I always find great stuff! Anyway, the 3/4 length sleeves and light cotton fabric make it perfect for this time of year. It won't make me too hot or too cold. By the way, I've made a Facebook Page for my blog. Please "Like" it for more updates and other random stuff! This is part of the Mom's Monday Mingle and this one too! Gorgeous!! 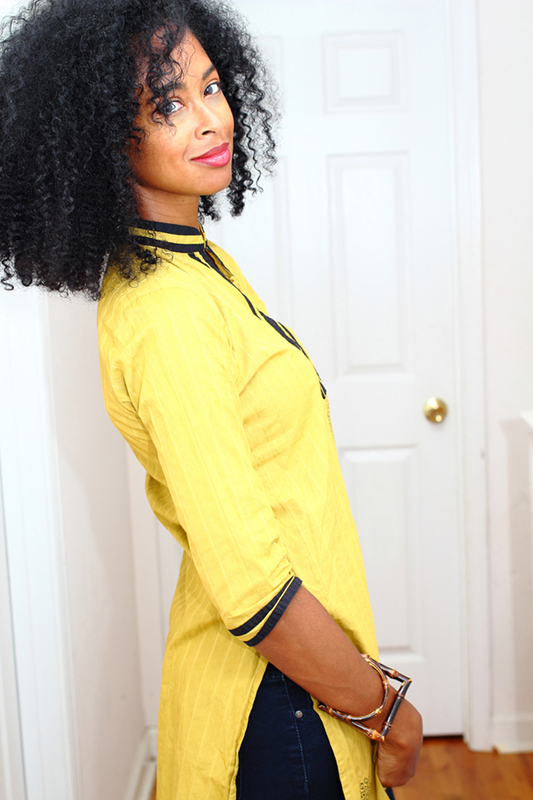 Love your tunic! It's so fabulous!! Hi Beautiful! Stopping by for a visit from Monday Mingle. Your photos are stunning. Hope to see you at my blog sometime. Love your hair!! New follower! Nice blog. Very inspiring. I'm curious about your skin care regimen. Very nice pics. Your hair looks fab! You have such a talent for finding great pieces. You look great as usual! cute tunic :) also I LOVE your hair!! 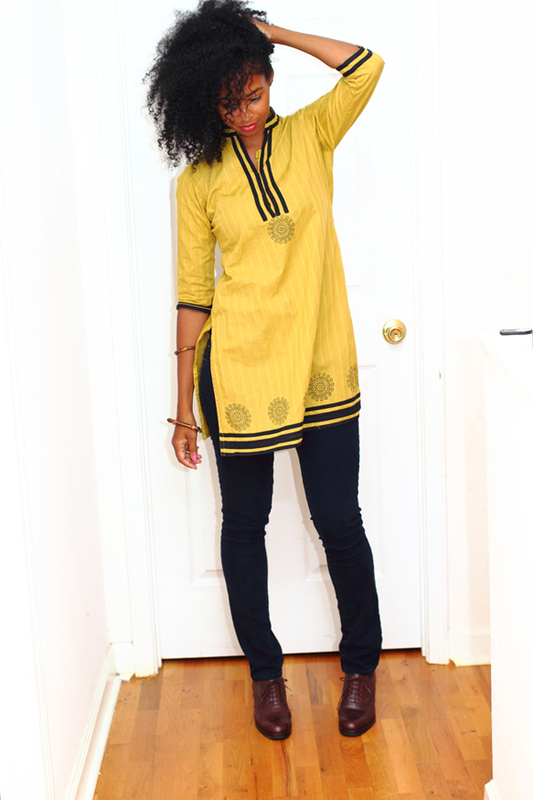 I'm a tunic fan and even though I go thrifting I never find anything as cute as this. 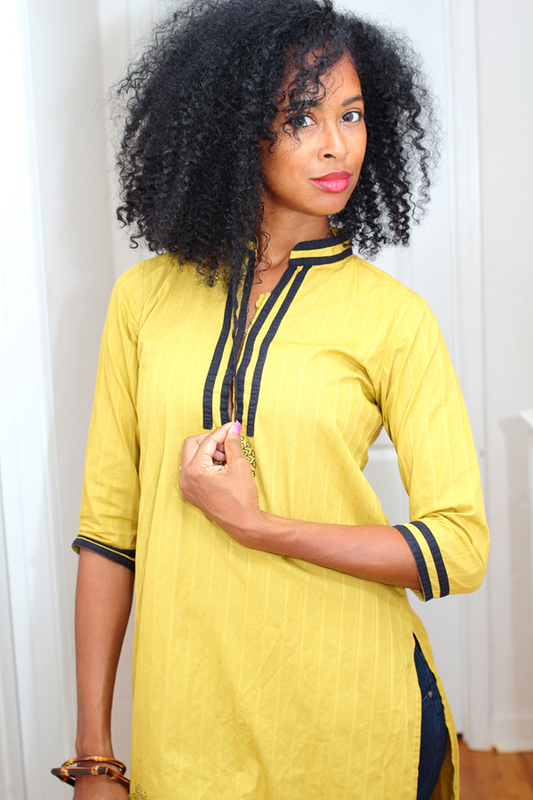 LOVE the color of your tunic! !